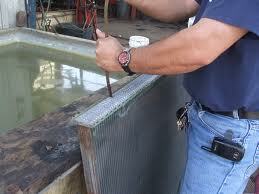 at Radiator city, we still use the conventional and trusted rod out method to clean our radiators. blockage in the tubes, so as to improve the water-flow trough the radiators tubes. customers request. Radiator flushing is a cheaper alternative but not a very reliable method.